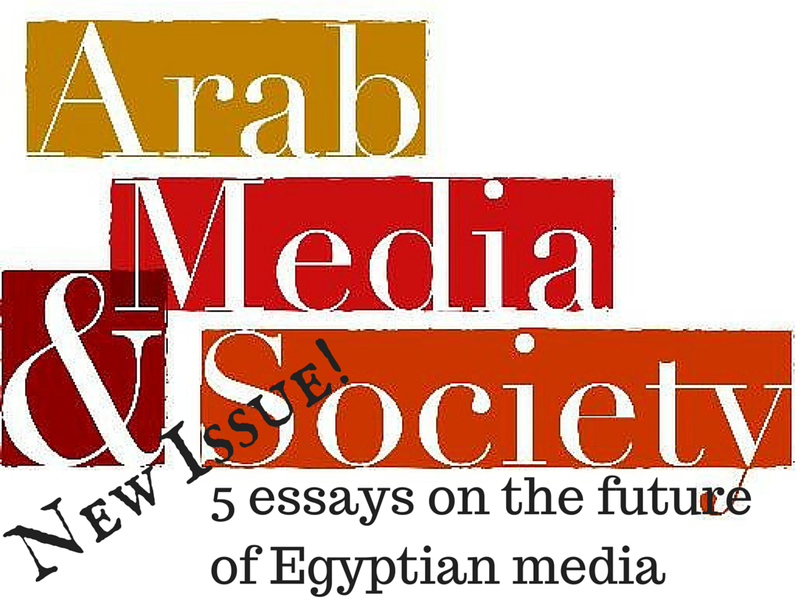 The latest issue of Arab media & Society offers five essays on the future of Egyptian media–and it doesn’t look very bright. The latest issue of the on-line journal Arab Media and Society, published by the Kamal Adham Center for Television and Digital Journalism at the American University in Cairo, has a slew of essays (five of six) on media in Egypt. One is analytical–a look at international press coverage of Morsi’s ouster. The other four are essays offering bleak and bleaker outlooks on the future of Egyptian media. The mildest is an account of the failure of Egypt to keep up with translation technology in the modern era. The bleakest sees all media in the Arab world as essentially under the control of the power and money elites–the digital dream is dead. Matthew Crippen investigates the international media’s framing of Mohamed Morsi’s overthrow in the summer of 2013 and questions why much of the Western media – and Al Jazeera – adopted the uniform narrative that the ouster was a coup and a travesty of democracy. Morsi, after all, acted in arbitrary nondemocratic ways and fostered an atmosphere in which his supporters could trample the rights of Copts, among others. Drawing on Thoreau’s notions of civil disobedience, he argues that definitions of democracy implied by international media coverage were narrow, and their logic questionable. Using initial coverage of the 2011 Revolution as a jumping off point, Amr Khalifa argues that the Egyptian state powerfully influences national and local media representations using same mechanisms of control that have been used by previous governments. Contemporary limitations on freedom of expression, however, are even more stringent than those of the Nasser regime. In this essay, Muhammad Y Gamal argues for the establishment of an Egyptian Audiovisual Translation Authority. After laying out a short history of translation in Egypt, Gamal argues that the country currently cannot keep up with changing modalities of translation and communication in the information age. This bodes ill for education, tourism, entertainment and foreign affairs, he argues..
With the failure of cyberutopian aspirations for digital media, any attempt to have an equitable media platform in Arab countries has for now been defeated, laments Ramzy Baroud in this essay. Instead, he claims, geopolitical dynamics and economics determine who can have a voice and what narratives can be conveyed. As always with this journal, the essays are available for free on-line, in html and pdf formats.